TigerStop is the worldwide leader in stop gauge and material positioning systems for rapid, precise positioning of almost any material. Their automated back-guages and material handling systems can be combined with almost any piece of fabrication equipment, resulting in increased speed, precision and efficiency. Once fitted to your machine and calibrated, TigerStop provides automated push, pull and positioning up to 2,100 pounds and repeatable accuracy to 0.2mm. 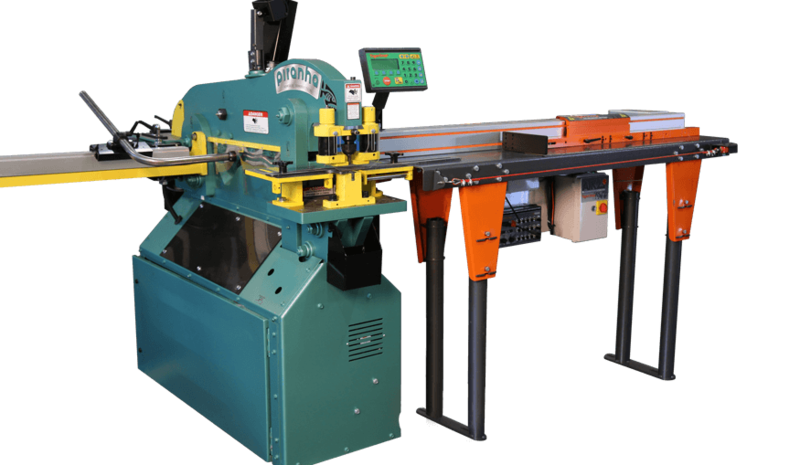 It easily conforms to your existing cutting system, or comes as a fully integrated saw system. If you’re interested in learning more about TigerStop and receiving a quote, please contact us today. We look forward to helping your business increase efficiency and precision with TigerStop!